great! great find and great price! 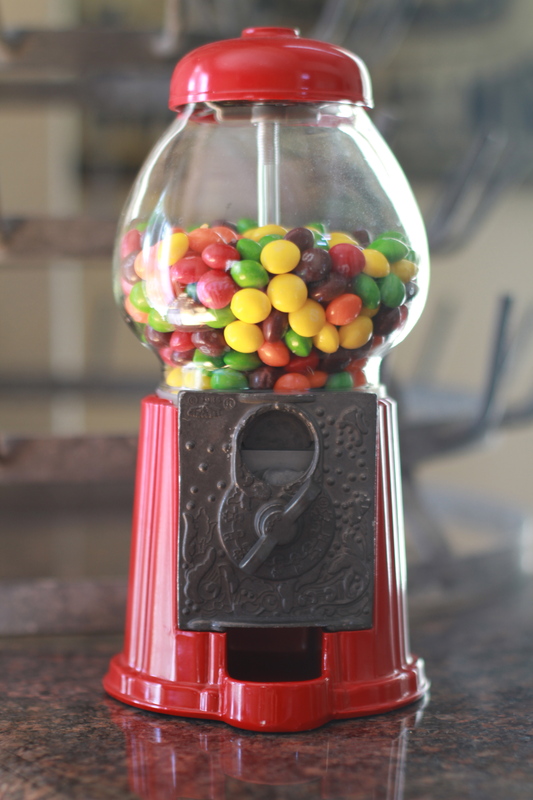 imagine it being filled with lentils and you start to understand the power that is skittles…! I almost scored two of these and I was going to mail YOU one!!! But it fell through and I was super duper bummed. Still have my eye out for one. I just KNEW you would love one… I was going to use it for incentives for school. =) You’re amazing at how you are seemingly magnetically drawn to outstanding finds. =) Love you! You are currently reading Gumball glory at whatsarahfound.